Raise a smile with this stylish carved mug. 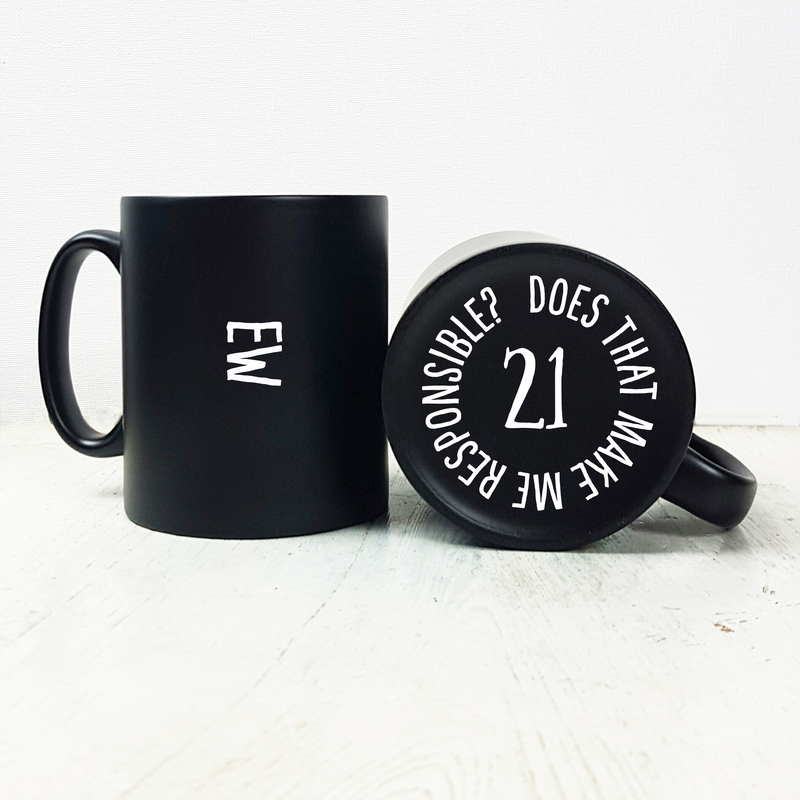 The front of the mug reads "EW" with the base of the mug revealing the age of the recipient and your personalised message to them. Our suggestion for this is "Does this make me an adult?" plus your name. Just let us know the age to put on the base of the mug on the order form.